Dr. Stephen Sinatra is a prominent cardiologist and an innovative pioneer. 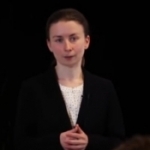 He promotes a number of natural strategies as “add-ons” to the field of cardiology, such as grounding or earthing, which is the topic of this interview. He’d done five years of post-graduate training in conventional medicine when, in 1977, he met Dr. Jacob Rinse, a 91-year old Dutch chemist who exposed him to alternative medicine. “After that I studied some nutrition,” he says, “but I became a psychotherapist. 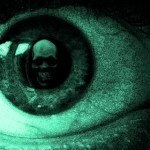 I spent 10 years training in psychotherapy. I studied bioenergetic psychotherapy, which looks at energy blocks in the body. Then, 10 years ago, he met Clint Ober, who introduced him to grounding. (Ober is the co-author with Dr. Sinatra of the 2010 book, Earthing: The Most Important Health Discovery Ever?). “At first I was skeptical,” Dr. Sinatra admits. Hopefully, as more and more people become aware of the importance of being grounded, this will change, or at the very least spawn a much needed change in the way most footwear is made. Synthetic rubber soles disconnect you from the earth. Leather soles do not. So you can still find shoes that allow you to remain grounded without going barefoot. Grounding has numerous benefits, aside from creating a general feeling of well-being. For example, walking barefoot can help ameliorate the constant assault of electromagnetic fields and other types of radiation from cell phones, computers and Wi-Fi. By getting outside, barefoot, touching the earth, and allowing the excess charge in your body to discharge into the earth, you can alleviate some of the stress put on your system. That is the grounding effect. I have personally prioritized grounding myself to the earth as much as possible for over 5 years. One of the primary health benefits of grounding is its antioxidant effect. It helps alleviate inflammation throughout your body. According to Dr. Sinatra, inflammation thrives when your blood is thick and you have a lot of free radical stress, and a lot of positive charges in your body. Grounding effectively alleviates inflammation because it thins your blood and infuses you with negatively charged ions through the soles of your feet. But beware; not all surfaces allow you to ground. What Surfaces Will Allow You to Properly Ground? An interesting tidbit offered by Dr. Sinatra is how to ground while flying. I typically bring a grounding pad with me when I fly, but Dr. Sinatra claims that simply taking your shoes off and putting your feet (bare or with socks) on the steel struts will do the trick. The earth is struck by lightning thousands of time each minute, primarily around the equator. Subsequently, the earth carries an enormous negative charge. It’s always electron-rich and can serve as a powerful and abundant supply of antioxidant free radical-busting electrons. The human body appears to be finely tuned to “work” with the earth in the sense that there’s a constant flow of energy between our bodies and the earth. When you put your feet on the ground, you absorb large amounts of negative electrons through the soles of your feet. In today’s world, this is more important than ever, yet fewer people than ever actually connect with the earth in this way anymore. 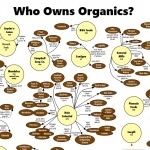 Free radical stress from exposure to mercury pollution, cigarettes, insecticides, pesticides, trans fats, and radiation, just to name a few, continually deplete your body of electrons. 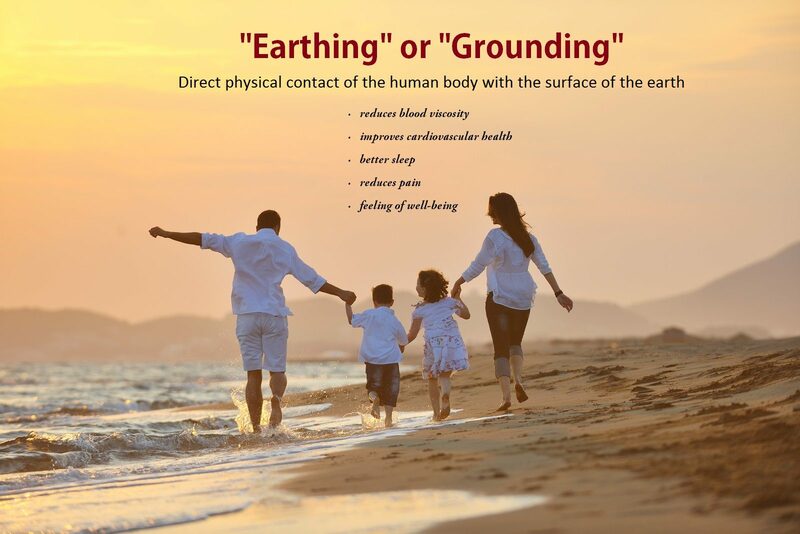 “Mounting evidence suggests that the Earth’s negative potential can create a stable internal bioelectrical environment for the normal functioning of all body systems. Moreover, oscillations of the intensity of the Earth’s potential may be important for setting the biological clocks regulating diurnal body rhythms, such as cortisol secretion. 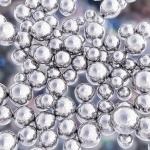 It is also well established that electrons from antioxidant molecules neutralize reactive oxygen species (ROS, or in popular terms, free radicals) involved in the body’s immune and inflammatory responses. The National Library of Medicine’s online resource PubMed lists 7021 studies and 522 review articles from a search of ‘antioxidant + electron + free radical.’ It is assumed that the influx of free electrons absorbed into the body through direct contact with the Earth likely neutralize ROS and thereby reduce acute and chronic inflammation. Modern lifestyle has increasingly separated humans from the primordial flow of Earth’s electrons. For example, since the 1960s, we have increasingly worn insulating rubber or plastic soled shoes, instead of the traditional leather fashioned from hides. Rossi has lamented that the use of insulating materials in post-World War II shoes has separated us from the Earth’s energy field. Obviously, we no longer sleep on the ground as we did in times past. 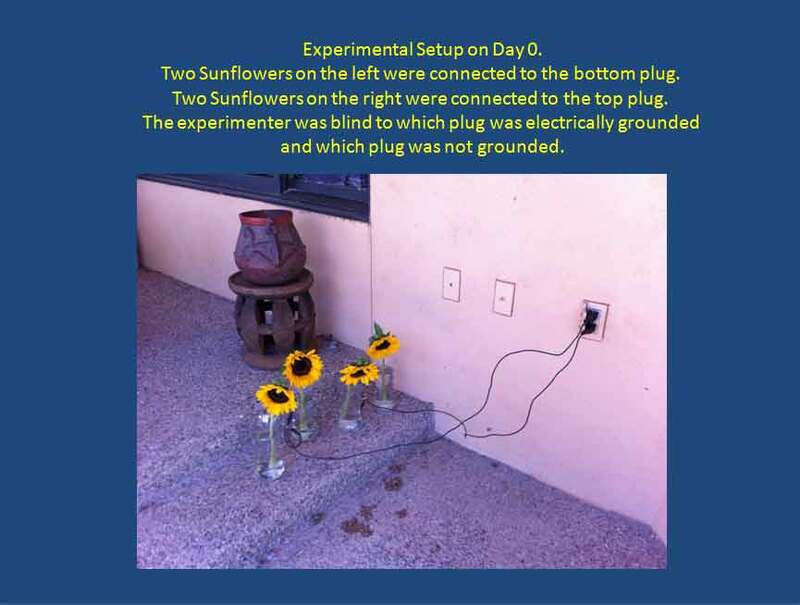 Last year, Gary Schwartz, PhD, at the University of Arizona, performed an elegant experiment with sunflowers to demonstrate the powerful biological effects of grounding. 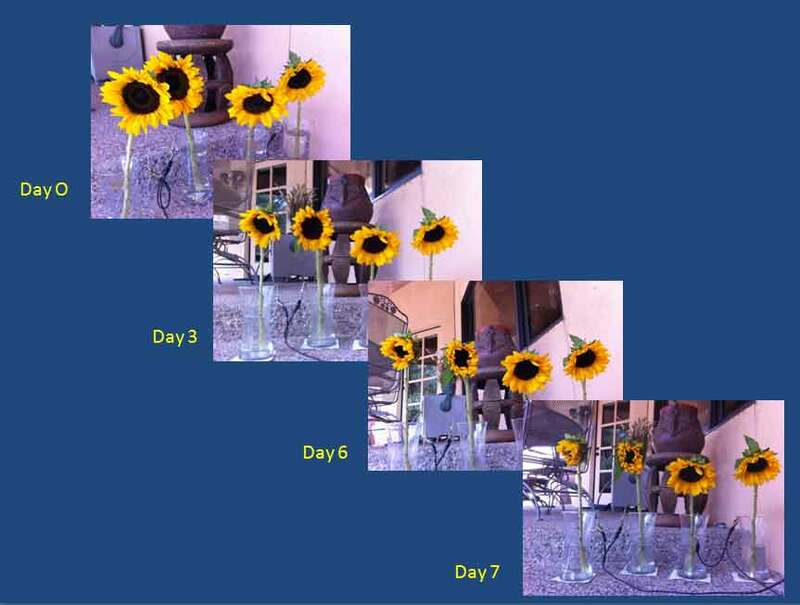 As shown in the photos below, one set of sunflowers were connected to a grounded power outlet via a thin metal rod placed in the vase, connected to a wire. The second set was connected to an outlet that was not grounded. All of the flowers were freshly picked, from the same area, at the same time, and the water came from the same source and had nothing added. The experiment was blind, so the experimenter was unaware of which outlet had been grounded. Photos used with permission from Gary Schwartz. As you can see, by the seventh day, one set is clearly wilting away, while the other still looks plump and fresh. As hypothesized, the set that kept their freshness were connected to the grounded outlet. 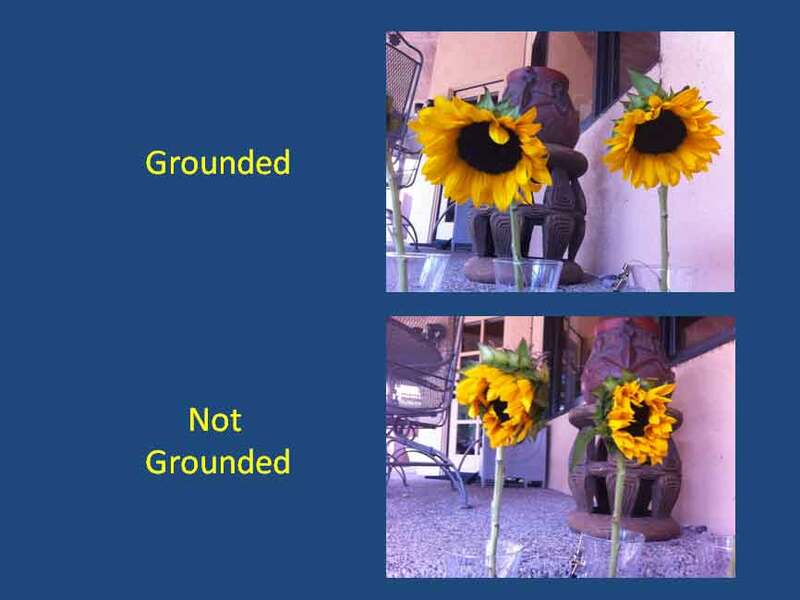 Even more remarkable was the dramatic difference in overall survival — the grounded flowers survived for another 10 days after the ungrounded set had shriveled up and died! Grounding helps thin your blood by improving its zeta potential, which means it improves the energy between your red blood cells. Research has demonstrated it takes about 80 minutes for the free electrons from the earth to reach your blood stream and transform your blood. Do you know what a high-sugar diet, smoking, radio frequencies and other toxic electromagnetic forces, emotional stress, anxiety, high cholesterol, and high uric acid levels do to your blood? All of these make your blood hypercoagulable, meaning it makes it thick and slow-moving, which increases your risk of having a blood clot or stroke. Hypercoagulable blood is the essence of inflammation, because when your blood does not flow well, oxygen can’t get to your tissues. 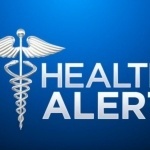 In fact, grounding’s effect on blood thinning is so profound if you are taking blood thinners you must work with your health care provider to lower your dose otherwise you may overdose on the medication. 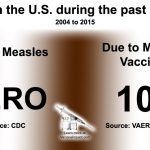 Similarly, anything that lowers zeta potential of your blood will promote disease. For example, early (and some current) birth control pills were notorious for causing heart attacks in women. One of the mechanisms that causes this increased risk is that synthetic estrogens and progesterones increase blood viscosity, i.e., they decrease the zeta potential of your blood… There are currently studies being performed at the University of Arizona which will objectively document grounding effect on the zeta potential. They are anticipated to be completed this year. Animal experiments have also shown that ungrounded rats had higher blood sugar compared to their grounded counterparts, despite being fed identical diets. If disconnecting from the earth disrupts human sugar metabolism, we may have identified yet another contributing cause for the dramatic rise of diabetes in children. “… I think the reason why we have a generation of diabetic kids is because we took away the ground, gave them a lot of sugar, and no exercise. That’s the perfect storm,” Dr. Sinatra says. Grounding also calms your sympathetic nervous system, which supports your heart rate variability. And, when you support heart rate variability, this promotes homeostatis, or balance, in your autonomic nervous system. In essence, anytime you improve heart rate variability, you’re improving the entire organism — in this case, your entire body and all its functions. While walking barefoot is clearly one of the most natural things you can possibly do to improve your health, there are still some contraindications and situations in which you may want to use caution. Depending on your health status and toxic load, your health may also get worse before it gets better when you start grounding on a regular basis. This is a classic detox reaction, which you may also experience with other detox methods.